Let's hop around places in Bangkok by foot and by boat. Walking around to explore the neighbourhood and see the local loveliness (approx. 4-6 km.). There will be a lot of delicious food and beautiful temples along the path we walk. Museum Siam - this is where you will learn about the history of Siam Kingdom (former name of Thailand). Have lunch at the famous Boat Noodle. Dessert at Mont Nomsod, a famous Thai Tartine! 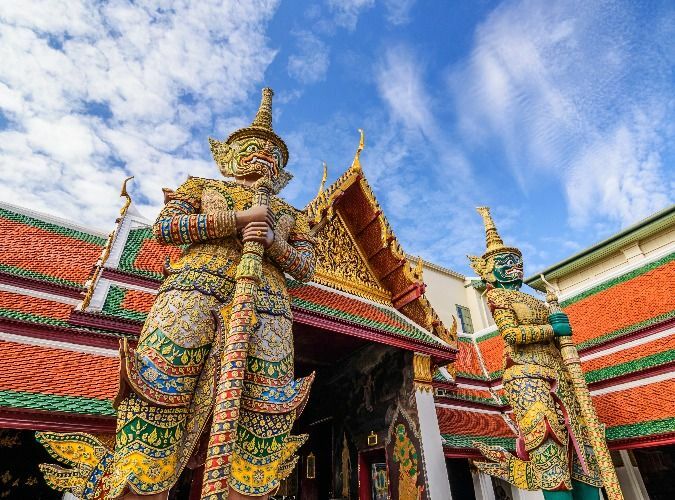 Go to the Emerald Buddha Temple - the greatest temple in Thailand. Learning history, culture and delicious food by walking. Historical places, temple, and very local delicious food places. We will go around by walking only. So we can get to see the way of living along the way.